Stacy Lesartre performs as a soloist, chamber musician, and orchestral player throughout the Rocky Mountain region. She is currently Concertmaster of Pro Musica Colorado Chamber Orchestra, the Fort Collins Symphony, the Cheyenne Symphony, and the Larimer Chorale Orchestra. She performs as an extra with the Colorado Symphony. She was a member of and repeat soloist with the Houston Symphony Orchestra. She has recorded at Skywalker Ranch for Warner Brothers Records, has been featured on Colorado Public Radio, and is the winner of the 2015 New York Audition Challenge. 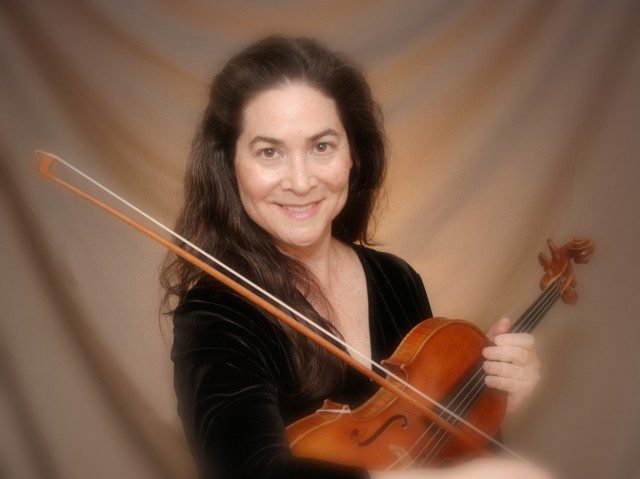 She is member of the American Federation of Musicians and the American String Teachers Association. Stacy Lesartre began playing the violin as a 4th grader in a Philadelphia public school music program. She studied violin at the Settlement School of Music with Lynn Mather, was the recipient of several music and academic scholarships, including the Louis G. Wersen Award and the Temple University Outstanding Achievement Scholarship, and was accepted to the Blossom Festival. She earned a degree in Music Performance at Temple University, where she studied solo repertoire and chamber music with Helen Kwalwasser and orchestral repertoire with Luis Biava. During a season as a member of the Puerto Rico Symphony, she studied with Saul Ovcharov. While a member of the Houston Symphony, she received coaching from Raphael Fliegel and studied solo repertoire with Fredell Lack. She has studied with Harold Wippler in Denver, Burton Kaplan at Magic Mountain Music Farm, and received coaching from the concertmasters of Boston Symphony, Cleveland Orchestra, and Minnesota Orchestra. Stacy has taught violin students, chamber music and orchestral excerpts. Her students have become professional musicians, teachers, and competition winners. They have been accepted as music majors at the Eastman School of Music, Cincinatti Conservatory, Peabody Conservatory, Cleveland Institute, The University of Texas, the University of Houston, Lamont School of Music, and the University of Colorado at Boulder. Stacy Lesartre lives in Fort Collins with her husband, Gregg, a technical contributor for Hewlett-Packard, and their two sons, Andre and Michael.